Living as an Ordinary RadicalMany of us find ourselves caught somewhere between unbelieving activists and inactive believers. We can write a check to feed starving children or hold signs in the streets and feel like we've made a difference without ever encountering the faces of the suffering masses. 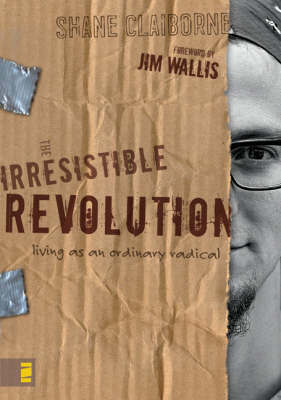 In this book, Shane Claiborne describes an authentic faith rooted in belief, action, and love, inviting us into a movement of the Spirit that begins inside each of us and extends into a broken world. Shane's faith led him to dress the wounds of lepers with Mother Teresa, visit families in Iraq amidst bombings, and dump $10,000 in coins and bills on Wall Street to redistribute wealth. Shane lives out this revolution each day in his local neighborhood, an impoverished community in North Philadelphia, by living among the homeless, helping local kids with homework, and "practicing resurrection" in the forgotten places of our world. Shane's message will comfort the disturbed, and disturb the comfortable . . . but will also invite us into an irresistible revolution. His is a vision for ordinary radicals ready to change the world with little acts of love.